AFFORDABLE GIFTS FOR UNDER $20: Great for getting organized and protecting toys. 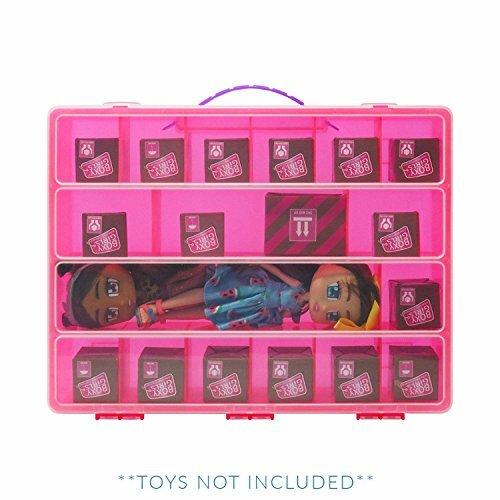 KID PROOF GUARANTEE: Our toy organizer is shatterproof. ON THE GO! Does you child want to always take their favorite toy with them? Our carrying case is perfect for bringing toys on any trip! ➤ONCE IT BREAKS, GET IT REPLACED! If it breaks, we'll replace it right away. This LIFETIME WARRANTY guarantees you don't have to worry about a broken case. 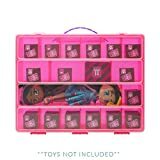 This toy organizer is manufactured by Life Made Better and is not affiliated with BoxyGirls o (TRADEMARK). Any use of the BoxyGirl toy o(TRADEMARK) brand names or images are solely for demonstrating compatibility purposes.